To schedule a presentation for your group or company, call 972-489-0821. Mr. Medlin is available to participate on panels at blockchain and cryptocurrency events. ​He is a Blockchain & Cryptocurrency Instructor at the Princeton Adult School, and an Advisor to the Crypto Training Center. "You have the best blockchain presentation I've seen." "Great presentation, speaker was extremely well versed in the subject he was presenting." "Very good - instructor went 1/2 hour over time since class was so interested." "Led us carefully through key concepts to help us stay on course." "Great overview, knowledge increased 1000%." "I attended a blockchain presentation given by Deloitte. Yours was much better." "THANK YOU for the outstanding presentation....It was really fantastic. It’s the first time I didn’t feel totally lost on the subject"
"Lindsley did a great job explaining a very difficult topic. 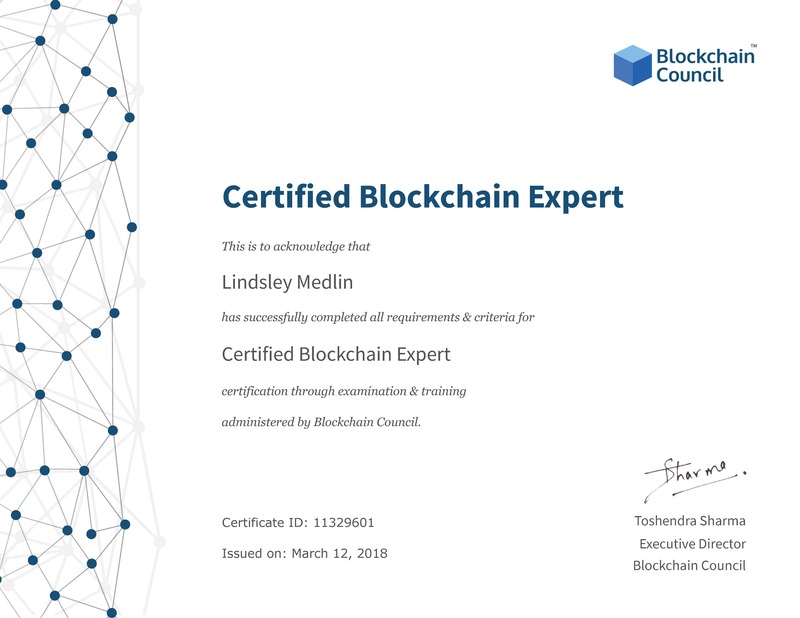 I walked away with a good understanding of Blockchain and the impact it will have in the future!" "Lindsley's presentation was one of the best I have ever attended. I have listened to several presenters mention Blockchain, but none of them had attempted to explain it. I now know why. It was a difficult topic to describe and you had to listen carefully to the entire presentation as the concept unfolded. I now have a very good understanding of the Blockchain concept and it's potential." "You did a great job making a complicated system easy to understand and follow. Thanks so much!"